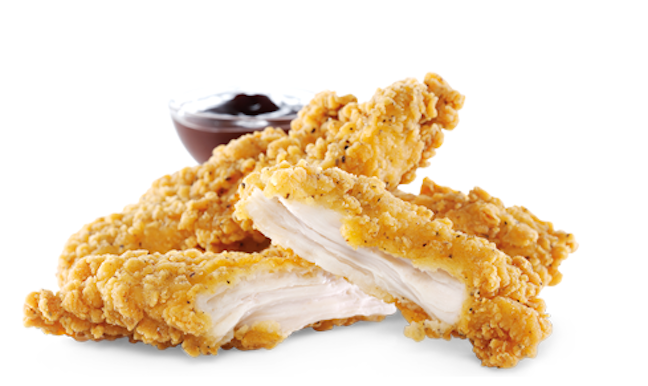 McDonald’s is bringing back its Chicken Select products amid increasing beef prices and a poultry war with Burger King. Two months after McDonald’s announced it would cut down on menu offerings, the Golden Arches has plans to bring back its defunct Chicken Select tenders. Bloomberg reports that McDonald’s Chicken Selects will begin appearing at restaurants for at least a limited time starting in early March. The company discontinued the product, which is made with fried strips of chicken tenderloin , back in 2013 during efforts to streamline its menu. The reintroduction of the selects comes just two months after analysts predicted beef prices would continue to rise in 2015, paving the way for more chicken-focused meals. One analyst tells Bloomberg that the addition of Chicken Selects to McDonald’s menu, even if it’s only for a limited time, falls in line with anticipation that poultry would be more heavily featured in the fast-food realm this year. The move also provides another chapter in the chicken battle between McDonald’s and Burger King. The two companies recently stepped up their chicken sales by waging a price war over chicken nuggets. In January, Burger King brought back its 15-cent chicken nuggets deal (or 10 nuggets for $1.49), while McDonald’s previously launched a deal featuring a box of 50 nuggets for $9.99. Earlier this week, McDonald’s announced it would expand tests of its Shakin’ Flavors for chicken nuggets and fries. The seasonings take on a sort-of flavor-in-a-bag concept with flavors such as zesty ranch, chipotle BBQ and garlic parmesan.